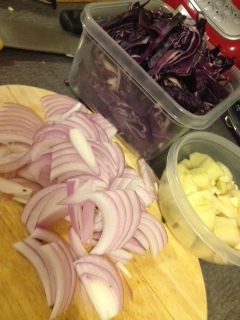 One of my favorite foods is red cabbage and I love it have it with meat balls! Yum!! So here is how I make it. 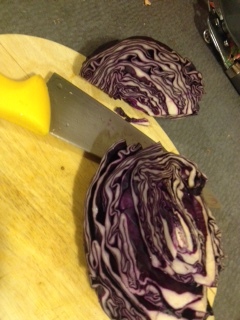 Slice /chop or food process all the vegetables – This is a personal choice as it all depends on how you want to eat it and how big you want the pieces – just as note though if it is sliced by the food processor you will get a slightly faster cook due to its size being smaller and more uniform. 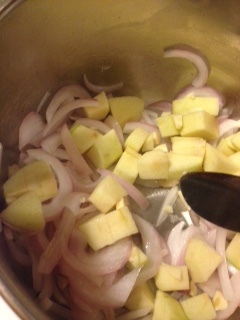 Lightly sauté the red onion in some oil, then add your apples and garlic and stir those in for a few minutes. 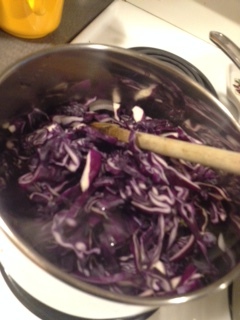 Add all of your cabbage prepped to your liking with the spices. 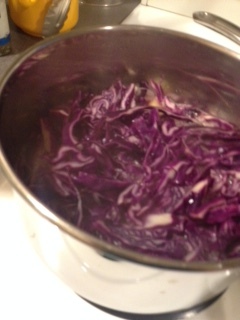 Bring to a simmer then put the lid on and let cook on Med. 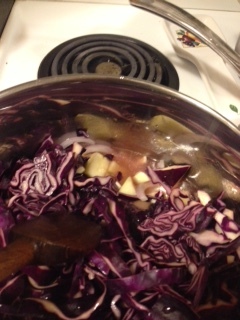 Heat until the cabbage is tender. * This dish can take a white to make depending on how much you make. 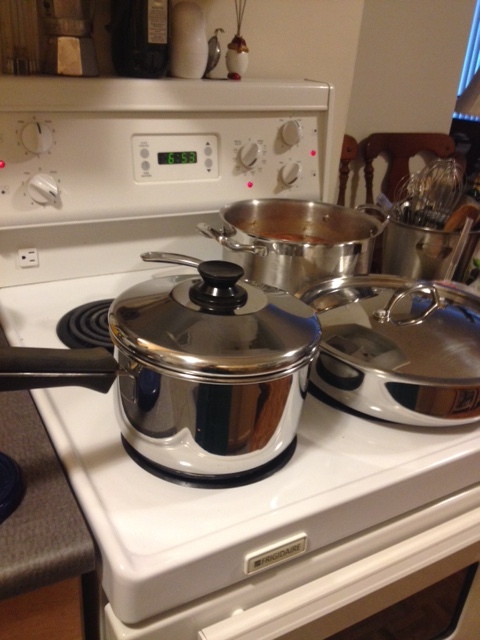 I like to take the lid off 10 minutes before the end to let some of the liquid evaporate. Hope everyone enjoys this as much as I do! Please remember to be food safe and smart in your kitchen ! < Previous Minestrone Soup! Hearty and yummy a side or the main course kind of soup!